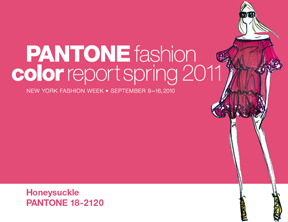 How do the color forecasters at Pantone choose the seasonal colors? There’s a lot more to it than you might think. One of my readers in Canada directed me to “Q,” a national arts and culture interview program on CBC Radio in Canada. I listened to a fascinating interview with color forecaster Keith Recker, who forecasts for Pantone and WGSN (an online trend forecasting firm). 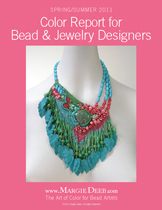 My 2011 Spring/Summer Color Report for Bead & Jewelry Designers (PDF) is available for download for $9.95.